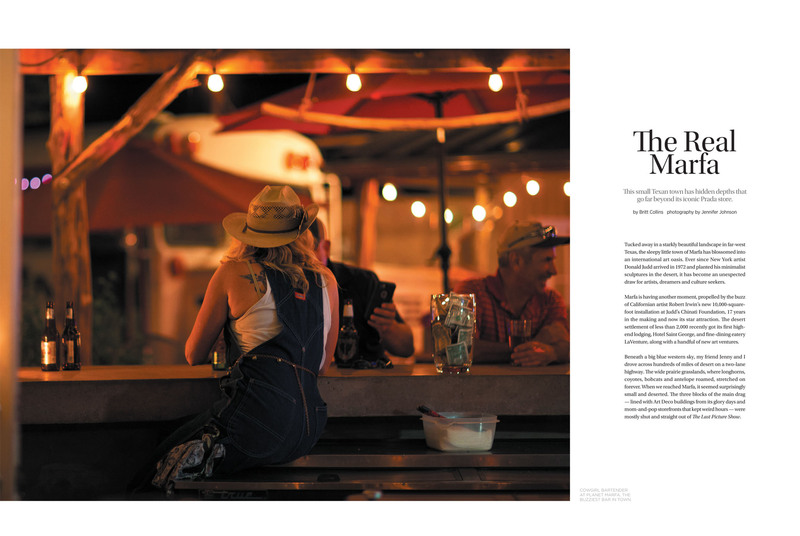 Tucked away in a starkly beautiful landscape in far-west Texas, the sleepy little town of Marfa has blossomed into an international art oasis. 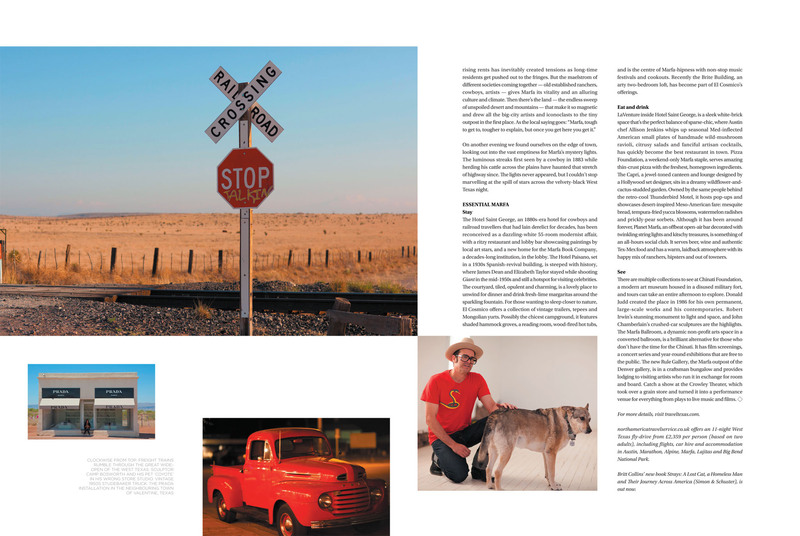 Ever since New York artist Donald Judd arrived in 1972 and planted his minimalist sculptures in the desert, it has become an unexpected draw for artists, dreamers and culture seekers. 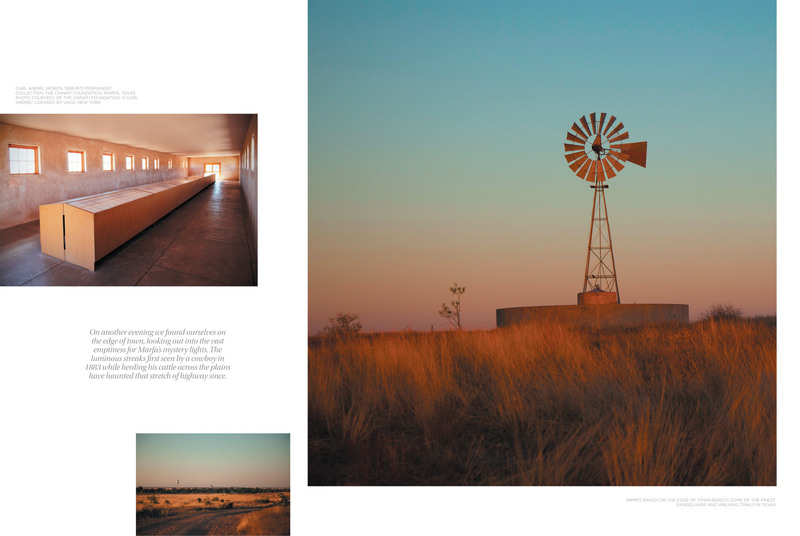 Marfa is having another moment, propelled by the buzz of Californian artist Robert Irwin’s new 10,000-squarefoot installation at Judd’s Chinati Foundation, 17 years in the making and now its star attraction. 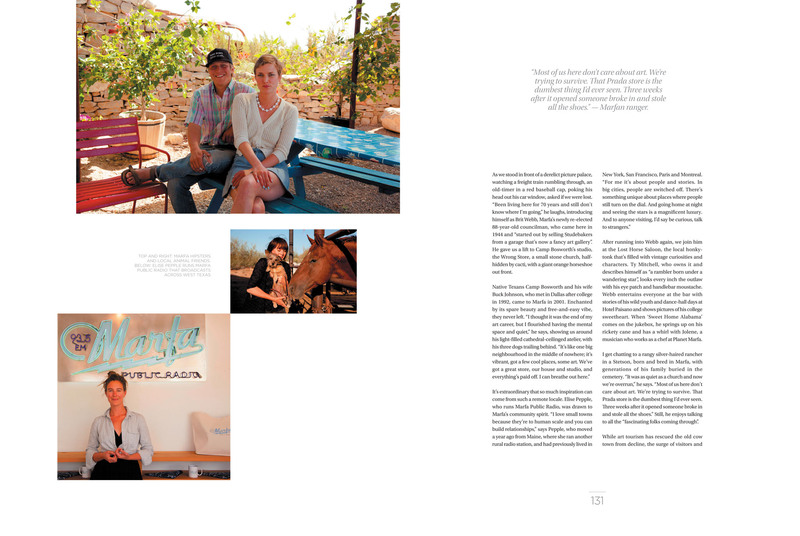 The desert settlement of less than 2,000 recently got its first highend lodging, Hotel Saint George, and fine-dining eatery LaVenture, along with a handful of new art ventures.